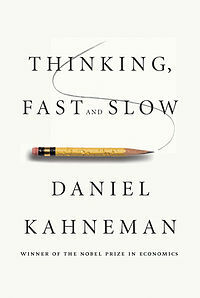 I recently finished Daniel Kahneman’s excellent Thinking, Fast and Slow. (Thanks Mike!) In it, Kahneman discusses some of the counter-intuitive ways our brains work, supporting those claims with empirical evidence. A book with applications to everyday life and many disciplines. Game design is the best discipline, of course. Image from Wikipedia. Game design involves a lot of different facets, from graphic design to storytelling to system creation, but at its heart it is about creating experiences in the minds of players. That means that ultimately, game design is about psychology, so understanding some counter-intuitive truths about human circuitry is a great way to make sure your designs are incorporating sophisticated and nuanced mechanics that create rich experiences. Today I’m going to share a few of the observations from Thinking, Fast and Slow and relate them to game design. In doing so, I hope to not only offer some practical suggestions on how to improve your own design strategies, but also to encourage you to approach game design from a different perspective. Perhaps the theme of Thinking, Fast and Slow is really that humans are not rational. If you’ve grown up thinking economics is accurate, this might come as something of a surprise. While thinking that humans always make optimal choices when faced with decisions is a useful mental framework, in reality people make decisions based on their emotions and hunches all the time. They often don’t even realize it. Thankfully, people’s irrationality is often systematic, meaning that many people make the same types of mistakes. Understanding these patterns can help you structure your games. People play games for lots of reasons, and feeling smart is one of them. Making an obvious mistake makes people feel dumb and embarrassed, which is really bad. It’s a good idea to make sure you’re not setting people up to make mistakes like that. Eurogames are especially prone to setting people up to fall into traps, since they are so mathematical and abstract. Obviously, such games are much loved by many people, but there are many people with no interest in such heady experiences. Should you care you’re alienating players like that? That depends on who you think your target audience is. One universal of human experience is that losing feels worse than gaining feels good. This little psychological quirk can make different presentations of the same thing feel much different. For example, in Thinking, Fast and Slow, Kahneman discusses how credit card companies fought hard to ensure that when the cost of gas differed based on buying it with cash or credit, it was called a discount for cash, rather than a surcharge for credit. Why? Because people feel ok about not getting a discount, but they feel quite bad about paying extra. This can also affect how risky people are willing to get. People are content to take a sure gain over a potentially higher payout (think a sure $5 versus a small chance at getting $50), but if both options are bad, they’re willing to go with the less sure option (many people would prefer the chance at losing $50 to the certainty of losing $5). How can this impact your game designs? First off, people really don’t like losing stuff. They don’t like it when their plans get messed up, especially when other people cause that to happen. I think this is why people dislike counters in games so much: when they try to take an action, it’s as good as theirs, but then it’s snatched away from them with a counter. People feel so strongly about this, they will often avoid taking actions that will cause other players to lose stuff. I encountered this when I was working on the legislation for Corporate America. Games like Dominion and 7 Wonders use strategies to make sure negative actions are tempered. They tend to be weak and undirected, so players can’t hurt each other too badly. The problem is that hurting each other is one of the cornerstones of interaction, so it’s usually not a great idea to remove all losses from a game, or you’ll get multiplayer solitaire. Of course, you could always just make your game co-op and leave the nastiness to the AI. Humans are very clever creatures, but they are more clever in some ways than others. One way they are particularly not clever is when thinking about probabilities, especially when the chances of certain events happening are very large or very small. While some people can learn to think statistically, it turns out our natural intuitions about statistics are often way off, and most people do not gain the education necessary to overcome that inborn handicap. Randomness in games is always tricky, because people hate feeling like a winner is determined by luck, but it’s also extremely helpful, keeping a game fresh over multiple plays and preventing the best player from always winning. Because people are so bad at statistics, it turns out adding randomness is also a way to add a mysterious but controlled force into your game. The one thing you should watch out for, though, is that some people do understand probabilities and statistics very well, and you don’t want to just hand them the game every time. Perhaps surprisingly, adding randomness can be a way to benefit more skilled players. Just make sure you don’t assume your players can correctly reason about probabilities. It may go without saying, but people make their decisions based on what they’re thinking about. 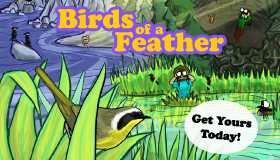 That might seem obvious, but it can be tough to remember for a tricky game designer. You know your game inside and out, but your players won’t, especially for complicated games. Obscure rules will never enter their minds. So if you’re designing a game, make sure a player doesn’t need to think about obscure rules to make progress or solve a problem. This can be especially dangerous when players are presented with many game pieces with special rules. Solutions that seem obvious to you will frequently never occur to your players. Towards the end of Thinking, Fast and Slow, Kahneman discusses a question near and dear to the hearts of anyone who runs playtests: how does one measure happiness? 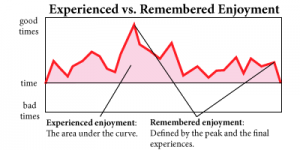 Different ways of measuring enjoyment. Make sure the peak and final experiences of your game are awesome! Kahneman identifies two equally important ways that people answer questions related to quality of experience. First, people can report as the experiencing self, identifying their condition as it actually happens. Second, people can report as the remembering self, looking back on their experience after it happens. It turns out these two selves answer in different ways. 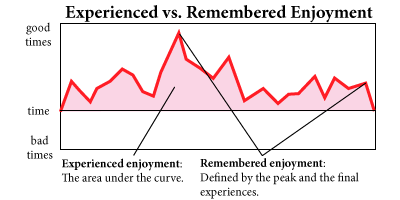 The remembering self doesn’t remember quite as well as it might think, and its response tends to be the average of the peak and the end of the experience. It will ignore duration and most of the quality of the experience. When you’re designing a game, which of the selves should you try to make happy? The answer is both, of course! But… which self is going to decide whether to play your game again or not? The remembering self. While I simply cannot condone ignoring the experiencing self, it’s worth paying special attention to what people remember about the game experience. That means you should make sure your game has a high peak experience (make sure there’s something particularly exciting or dramatic that happens), and make sure the ending is very fun and exciting. Also, make sure that your peak is in the right direction! If the main game event people remember is an unpleasant one, that does not bode well for what people will remember about the game, even if they were enjoying themselves for most of the game. Your playtesting strategy should also be informed by this information. In particular, if you rely completely on getting information about player experience after a game (such as when using remote playtesters), you’re losing a lot of information. It’s simply not possible to improve most of the play experience without either witnessing the playtest or polling players constantly (a surefire way to make the playtest less fun). I was always apprehensive of using remote playtests, and this knowledge has put me staunchly in the camp of not trusting remote playtests (except with very experienced playtesters and for very specific types of playtests, such as balancing a game). I don’t know about you, but I come from a background in digital games. And in digital games, I feel like using psychology to design games has a pretty nasty stigma associated with it, mostly because of how companies like Zynga manipulate players’ psychological weaknesses to squeeze money out of them. They take a behaviorist approach: they think of their players as money bags with psychological buttons, and they just need to push the right buttons to open their wallets. And they’ll do that in the simplest, most bare bones way they can get away with. I hope that the ideas I presented in this post show that you can use psychology in service of your players, rather than in service of your bottom line. It is my firm belief that you should always think about people (not just your players) as emotional, experiencing beings. But I also believe that understanding the quirks of our brains is a great tool you can use to create rich, positive emotions. I’ve said it before and I will say it again: one of the greatest things about game design is that it is the intersection of so many interesting fields. We all come to games from different backgrounds with different personal tastes and preferences, but at the end of the day, games are all about the experiences they help their players have. I hope you walk away from today’s post not only with a few new mental tools in your game design tool box, but with a better appreciation for taking the psychological perspective to game design. Thanks for putting in the bit about how psychology doesn’t need to be used to pad profits, and is actually best used to create positive emotional experiences. That’s the part that will stick with me. I enjoyed this article! I actually have a copy of this book that I picked up at a conference last year where Dr. Kahneman was a speaker. I loved his talk and was thrilled to have a Nobel prize winner sign my book. I haven’t gotten around to reading it yet; maybe I should make it a priority as a game designer! It’s cool to see a fresh perspective on some of this stuff. I’m a doctor of psychology recently turned game designer and I’ve been writing about how people experience probability and stuff like that. Something that I find really interesting is that we used the same evidence to support the same premises and reached opposite conclusions. Like you I believe that people will naturally behave in some ways and that people like to feel smart. I concluded from this that it’s best to design games that people naturally play badly, so that there’s room for improvement and each game players can feel like they’ve improved and get that sense of accomplishment (http://3dtotalgames.com/making-you-make-mistakes/). You concluded that it’s best to design games that people naturally play well so they don’t make obvious mistakes and feel stupid, which I think also makes plenty of sense. With respect to people not liking loss, it doesn’t appear to change whether they’re losing something due to a co-op AI or the actions of another player. I’ve changed things during feedback to have certain types of problem prevent the players from gaining something they’d have acquired in the future rather than making them lose something they’d acquired in the past. I see no reason that this approach wouldn’t work in competative games, for instance rather than “counter card X” you could have “if your opponent plays card X you may play this card for twice as many points as usual”.